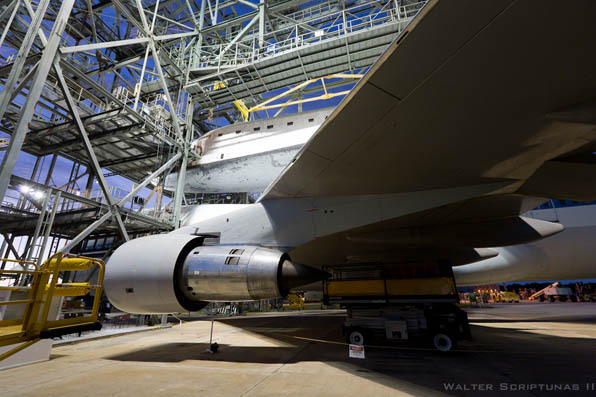 From Kennedy Space Center's towering structure known as the Mate-Demate Device on Sunday morning, Spaceflight Now photographer Walter Scriptunas II imaged the space shuttle Endeavour perched atop the modified Boeing 747, then captured the scene as the duo pushed back from the crane contraption for the final time in the history of the space shuttle era. 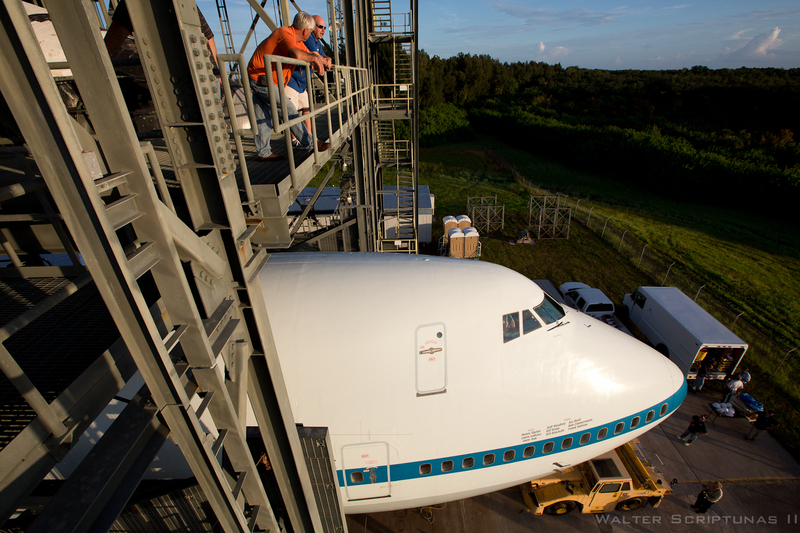 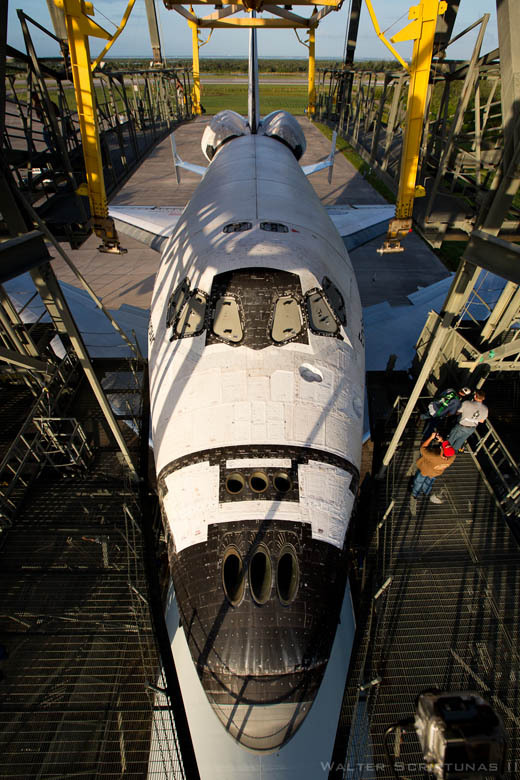 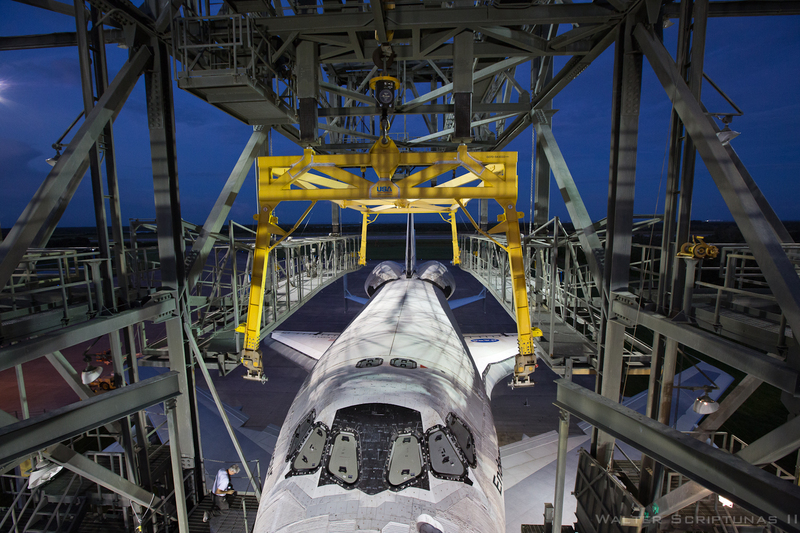 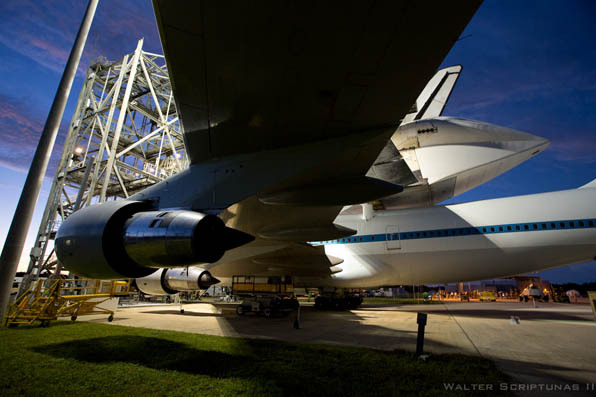 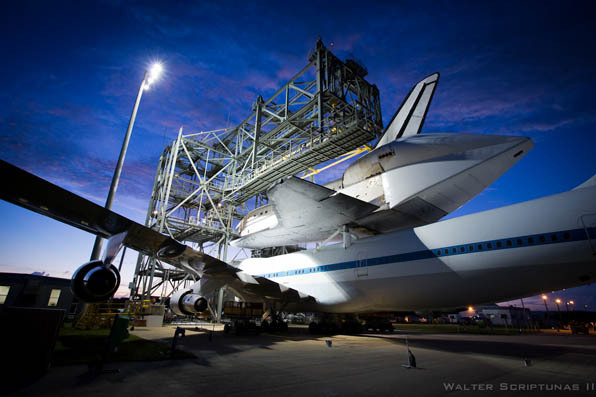 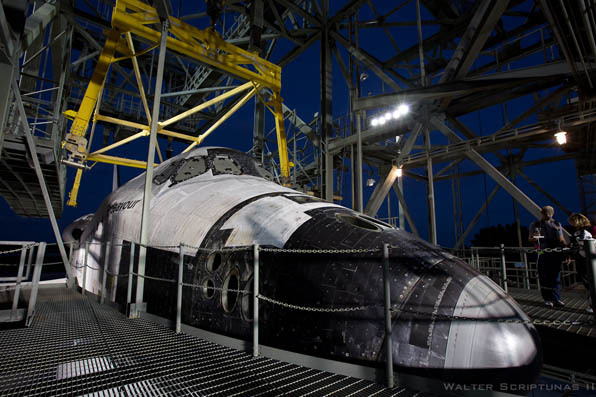 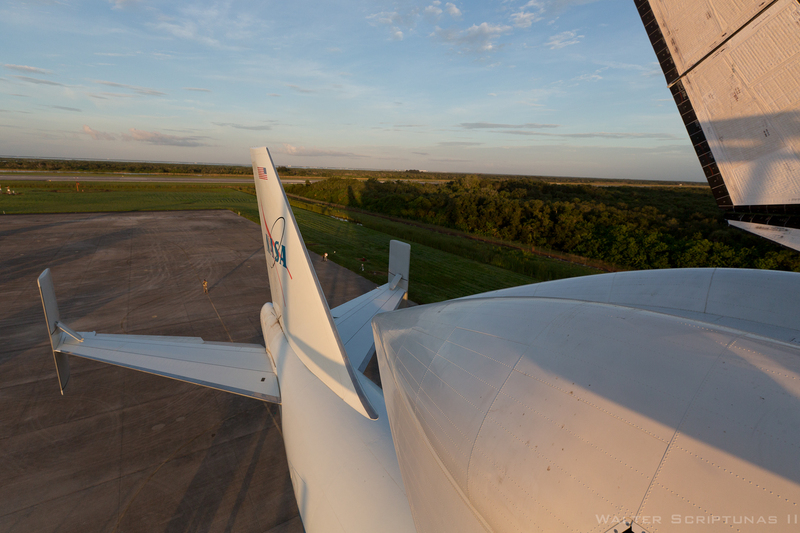 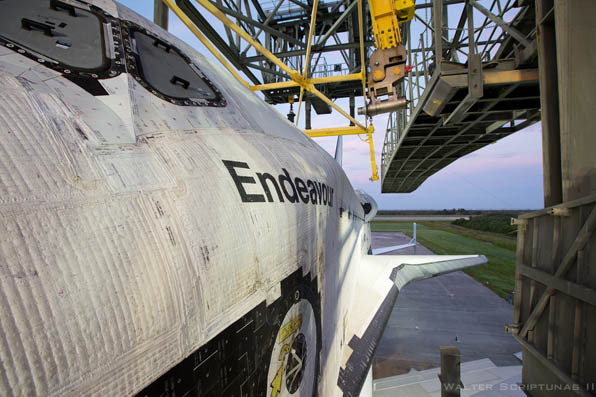 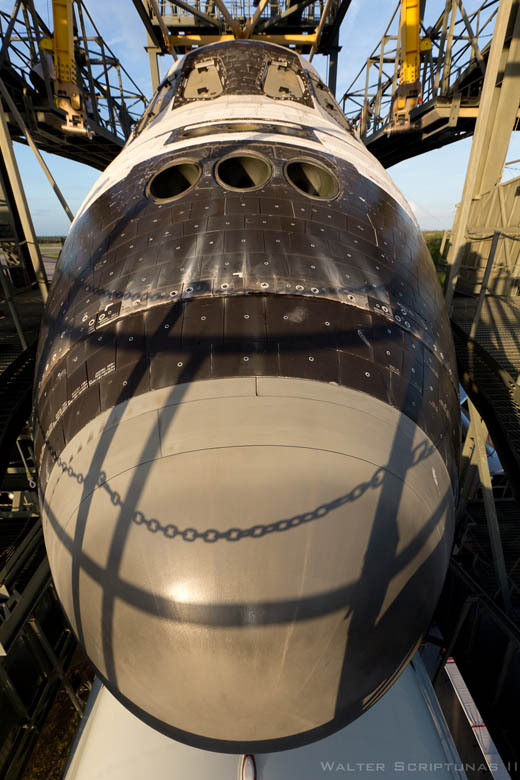 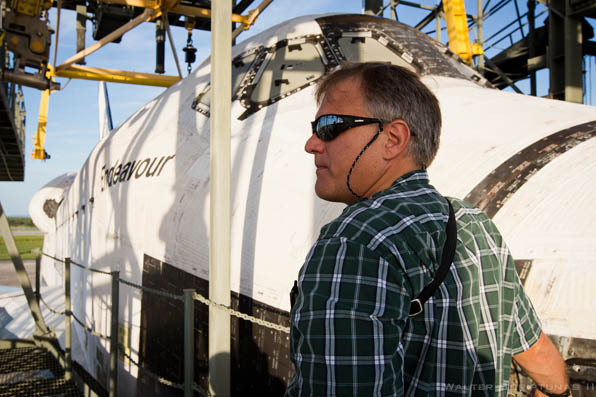 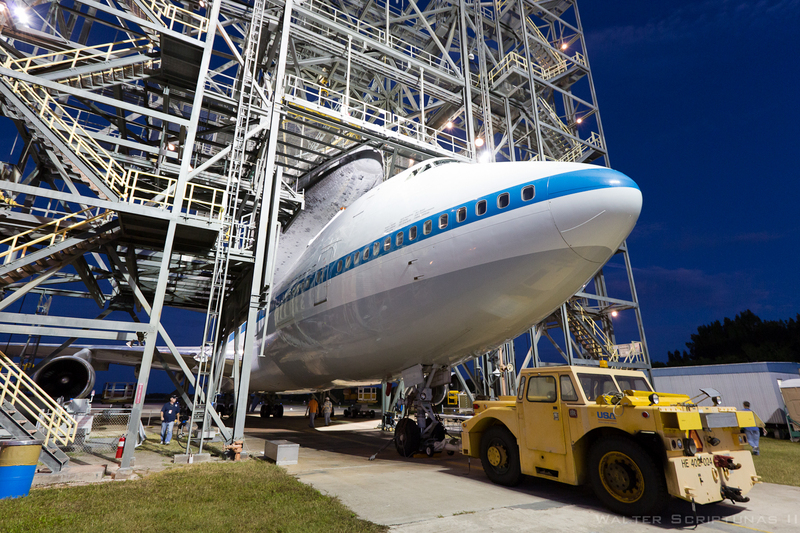 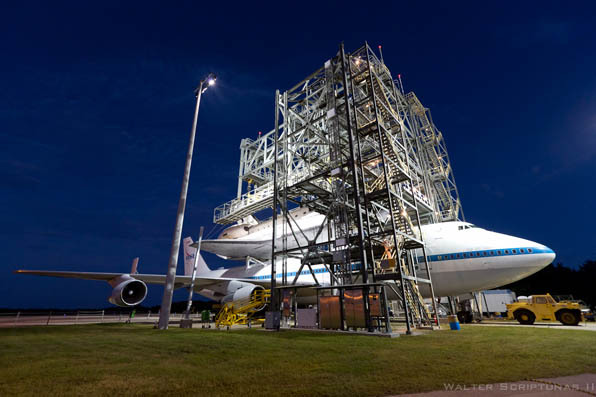 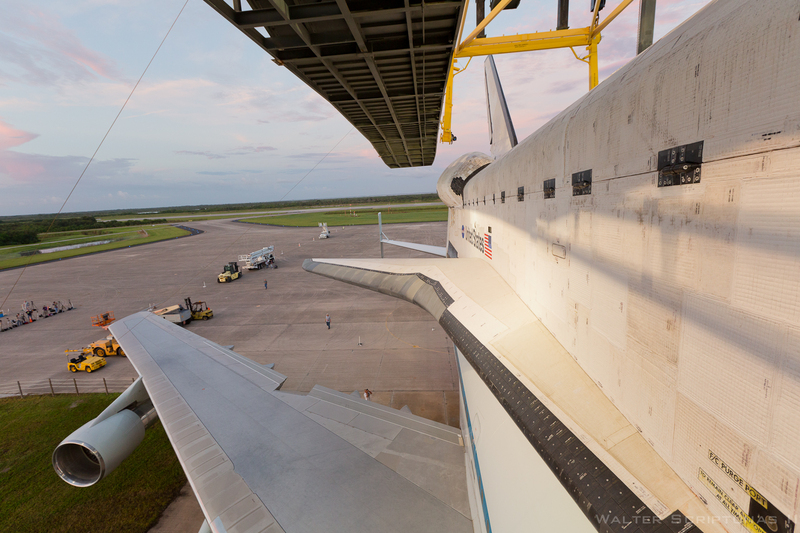 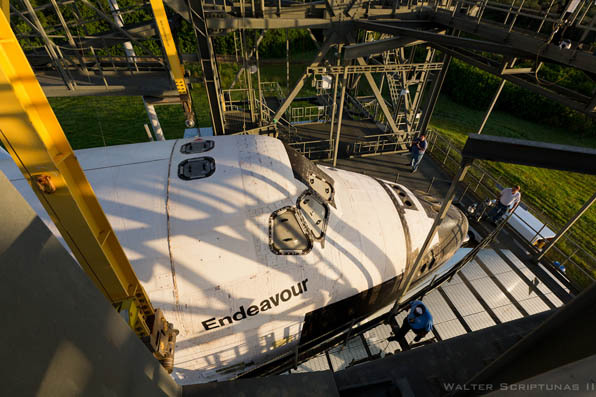 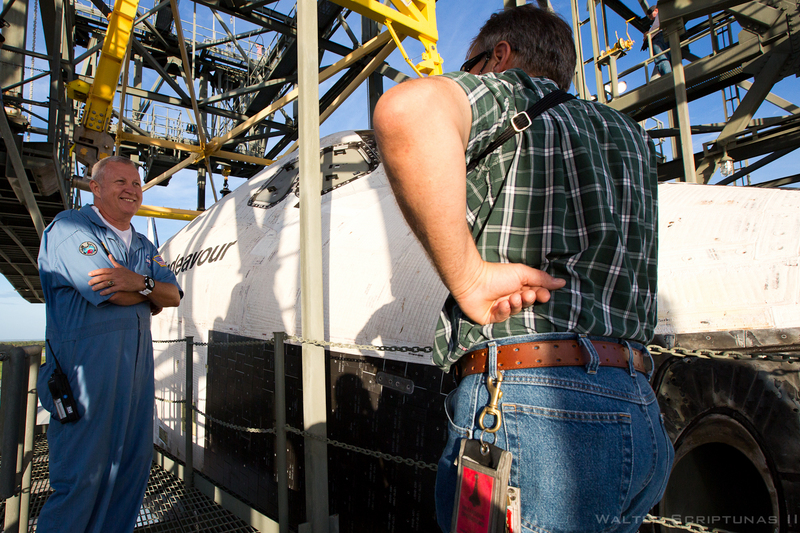 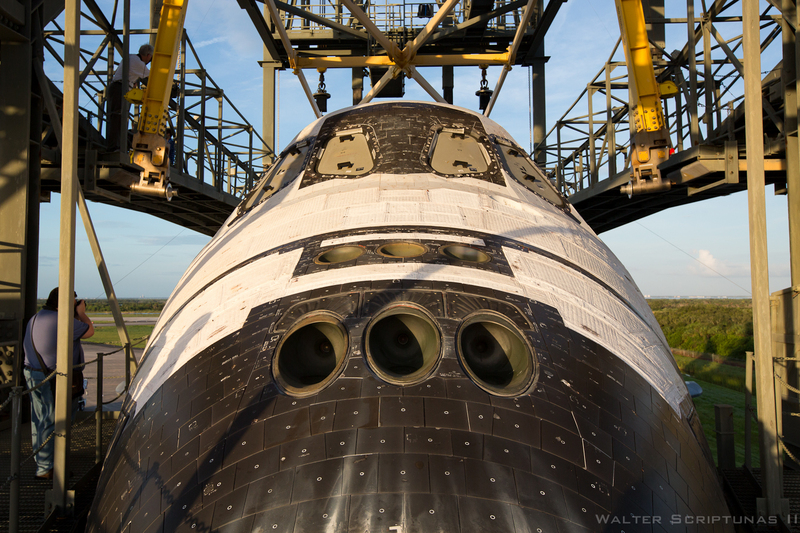 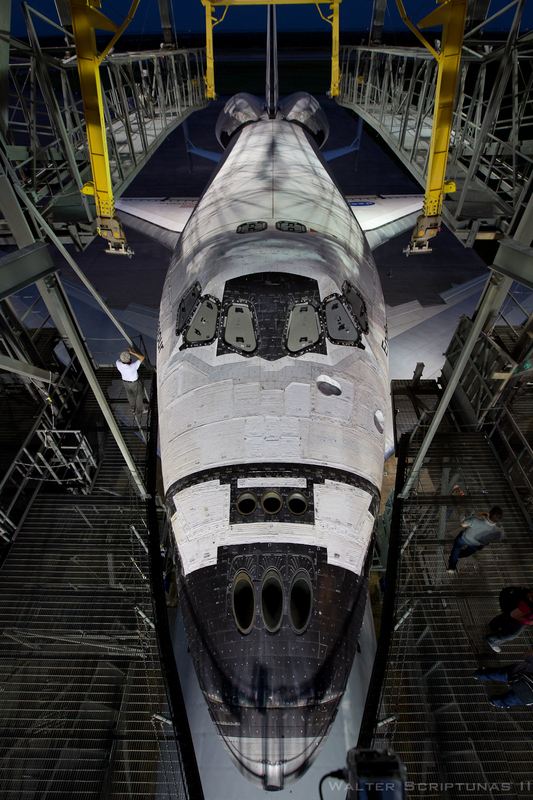 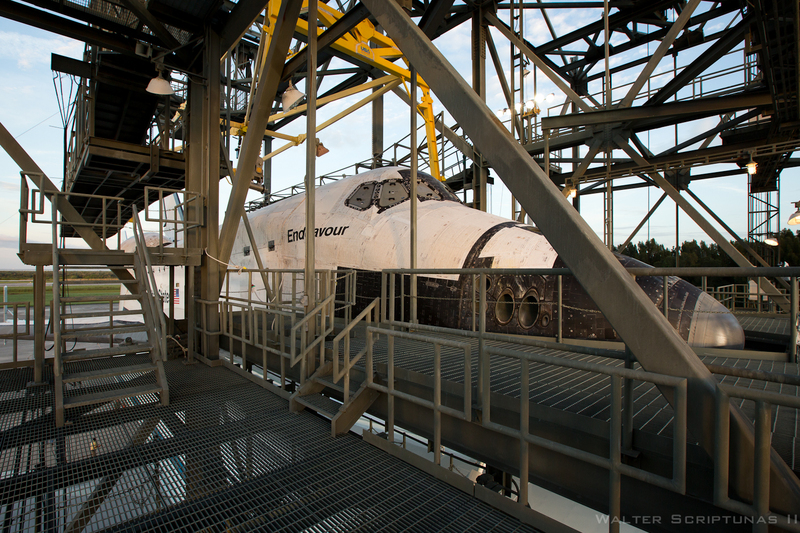 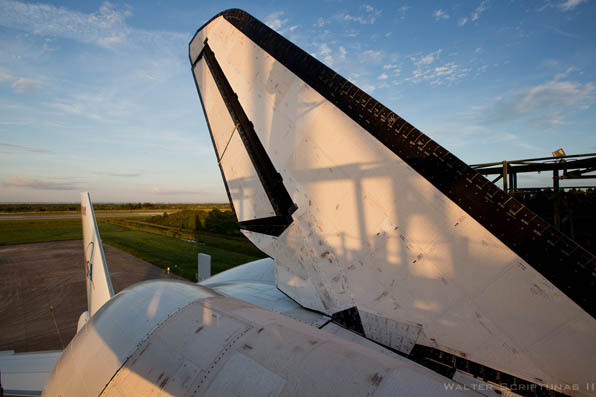 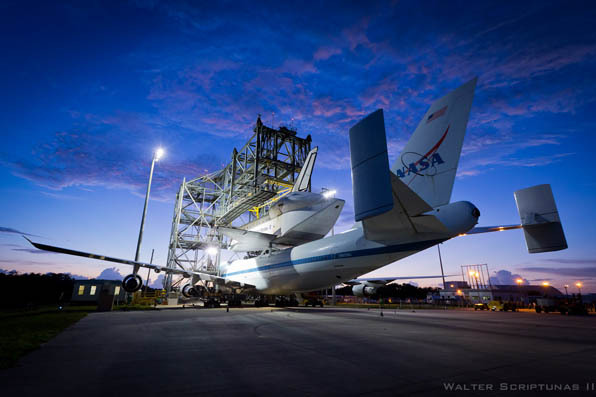 The Mate-Demate Device was used Friday to hoist Endeavour off the ground and aboard the Shuttle Carrier Aircraft for the upcoming ferryflight from the Florida spaceport to Los Angeles and the orbiter's eventual retirement home at the California Science Center. 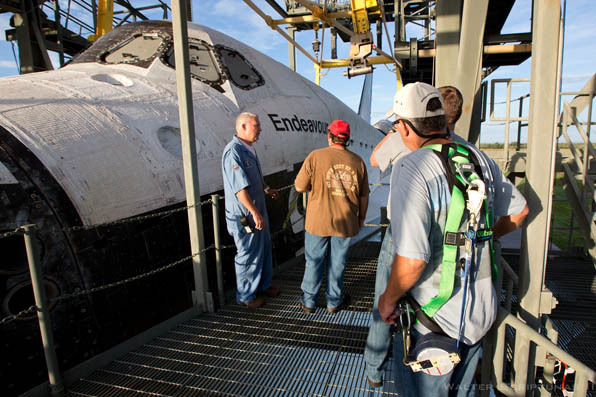 See our coverage of Endeavour's ferryflight.